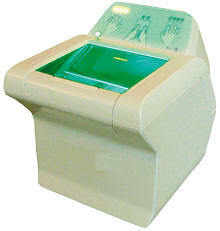 Fingerprint Scanner enBioScan-C1 , a special scanner from will be the most flexible and user friendly product in the industry as the customers will be benefited for its Ergonomic design and can make changes to the design based on their own requirements. eNDeSS Enterprise Similar to eNDeSS professional but with extensive features for corporate like Active Directory/LDAP Integration, Centralized registration and management of Fingerprint users. 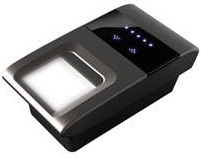 BioScan10 Slap Fingerprint Scanner (also called 4+4+2 or 10 finger reader / scanner) for UIDAI Aadhaar, AFIS & Government ID application. 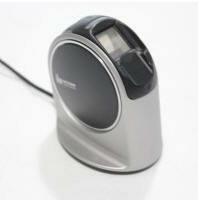 eNBioScan D Large surface Single finger or Two finger scanner for advanced applications that demand high security fingerprint registration and identification. Linux 2.6 or better Kernel with Ubuntu, Fedora, RedHat etc. 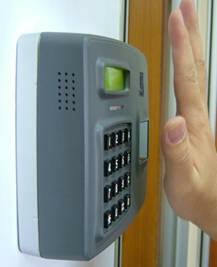 C/C++ and more Development environment with eNBSP Fingerprint Software Development Kit. For embedded environment check our OEM Modules under product section. Image Acquisition Time Full Speed : Avg. 500msec. Copyright ���� 2019 RaviRaj Technologies. All rights reserved.